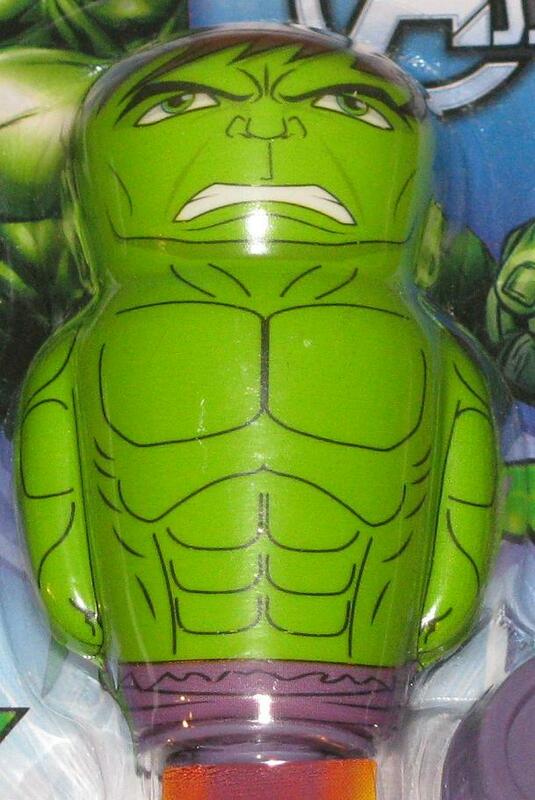 There was a time when Hulk ornaments were a hard thing to come by. These days it seems that a few new ones pop up every year. Hallmark especially has given us a few that really were memorable. 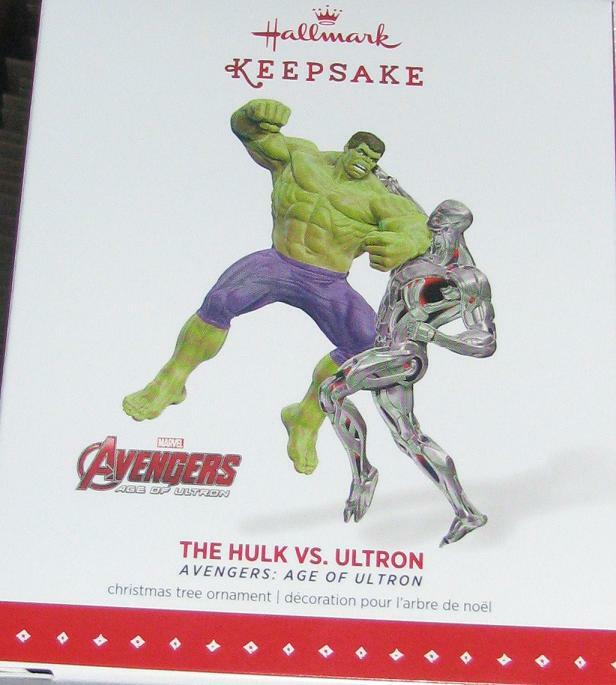 The Hulk vs Wolverine ornament was unique and memorable. The large talking one from last year was one of the best pieces on my tree! 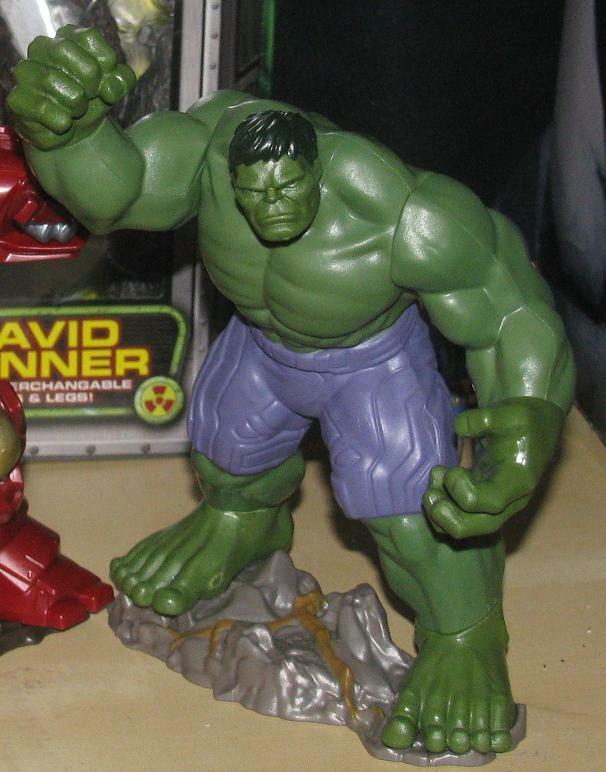 Of course it started with the, looking back now, crude Hulk from 1997. 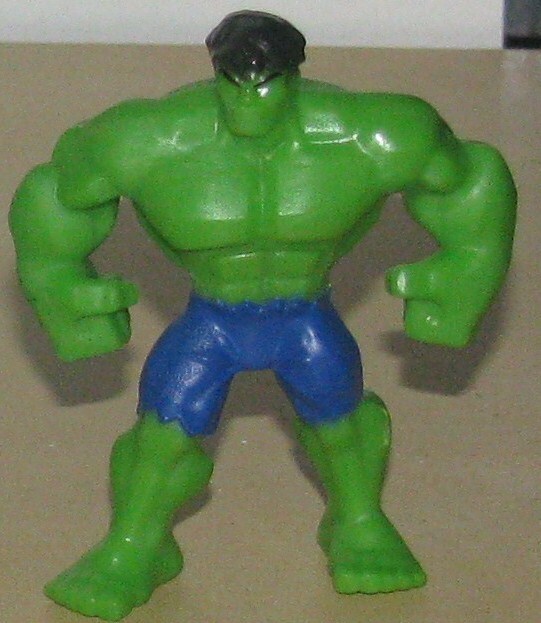 It features the Moe haircut and was obviously inspired from the merged Hulk of that era. For some reason, though, I love it! I’m not really having the same feelings about the new ornament. 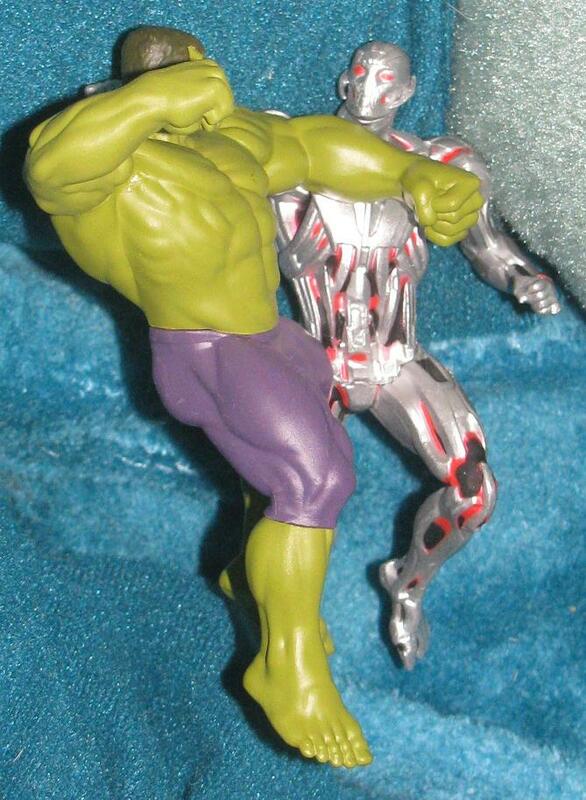 The Hulk vs Ultron. Yes, that is what the last movie featured… except that wasn’t the Hulk’s shining moment in AoU. 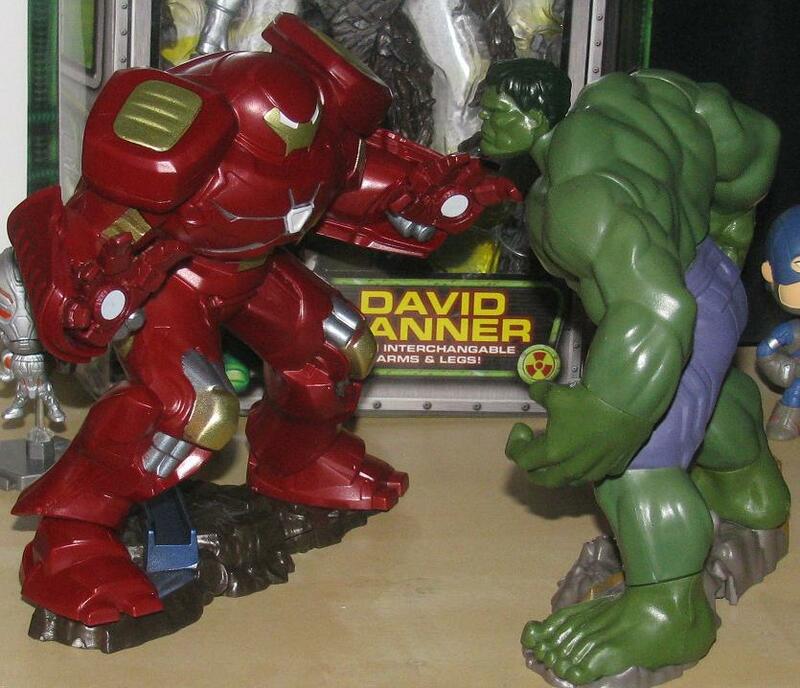 It should have been Hulk vs. Hulkbuster. That’s not the only thing wrong though – it is simplistic paint job that lacks impressiveness. 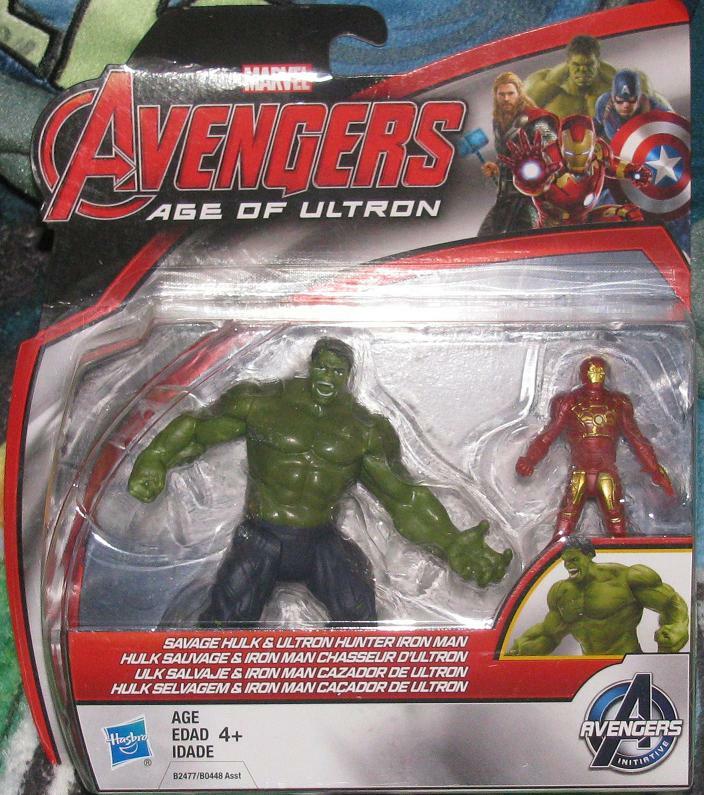 Neither the Hulk or Ultron is designed very well. The sculpts aren’t really the problem – it really lies with the elementary paint job. For the price we pay to Hallmark I expected something a whole lot better. 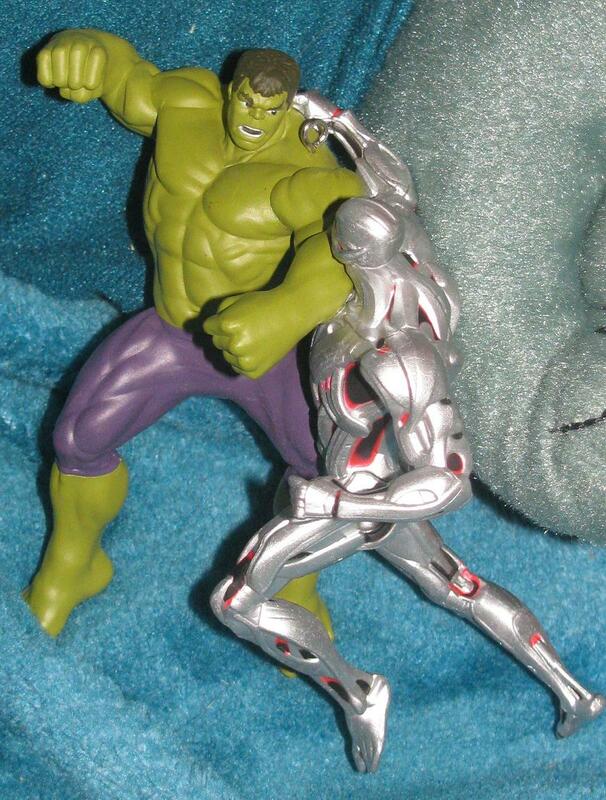 I did get a question about how good the Playmation Hulk displays. 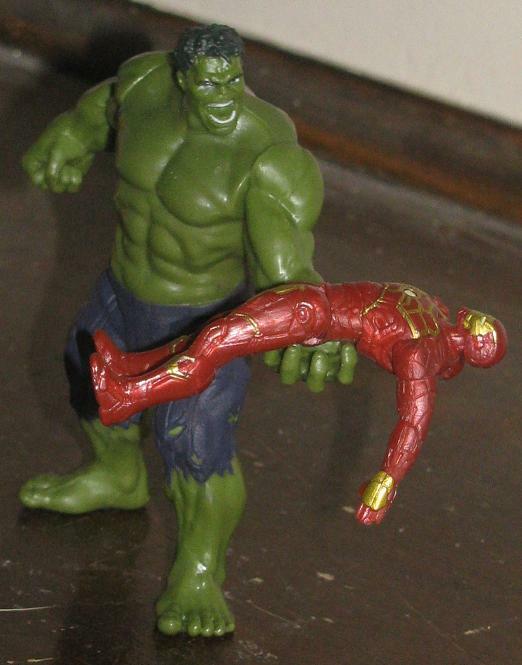 I actually has a little fun with yesterday’s post because I knew I was going to be posting about the Hulk again – so I made the previous post sort of a joke. 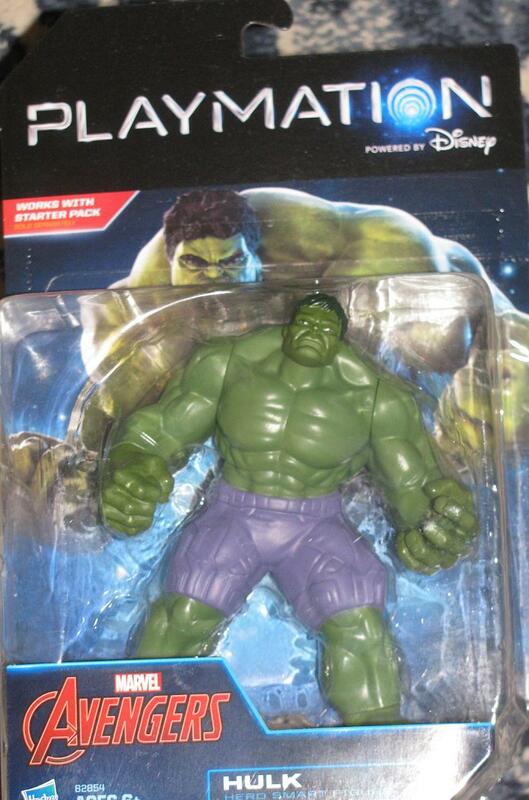 Today we can get into just how cool the Hulk is… or isn’t. Let’s move on to find out! I will just begin with that fact there really isn’t any kind of articulation. The arms move – but slightly at that. The waist moves but it isn’t articulation as it seems to just be balancing on the bottom half of the body. The base ensures that you can put it anywhere and have it stand up but it certainly does not give the legs any kind of mobility. With all that being said – you’re asking yourself “Is it worth picking it up?” I would say yes – absolutely! 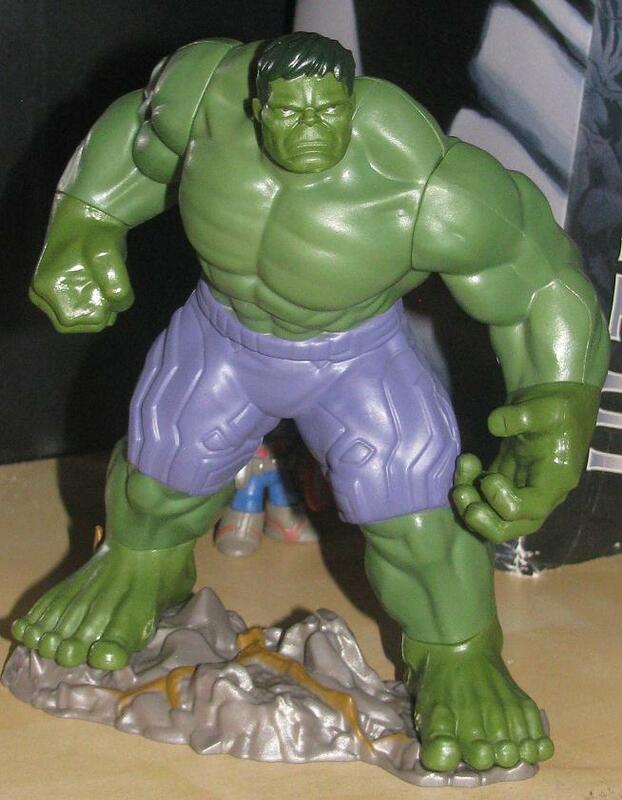 The sculpt is fantastic and classic – besides the somewhat AoU inspired pants. The paint doesn’t look as bad as the photos show – it washes out the green of the body pretty badly but it doesn’t look so bad in person. That being said – there is a difference. 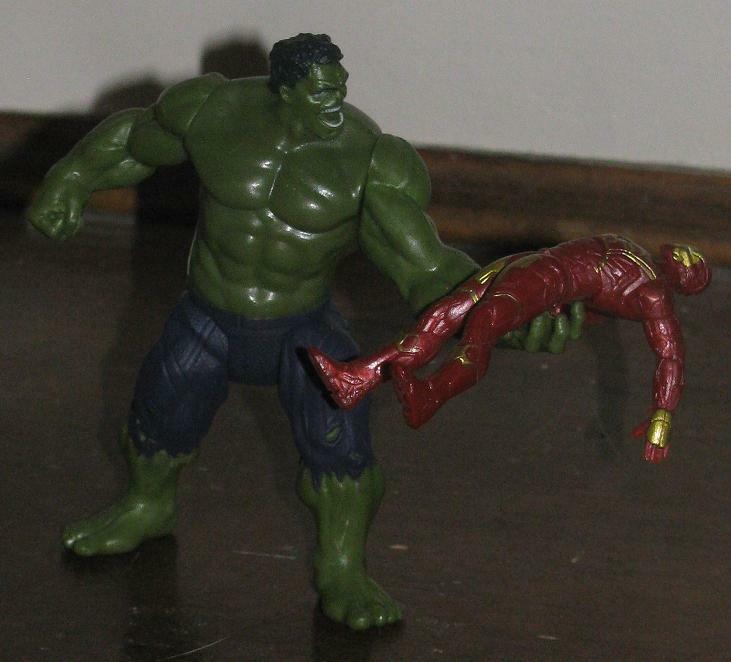 The Hulk and the Hulkbuster are both made of very light plastic and have no real heft to it. I know it sounds like I’m being pretty hard on these pieces but truly, I still think they are worth picking up. They retail for about $15 and I saw a pretty freaky MODOK that I didn’t choose to get. 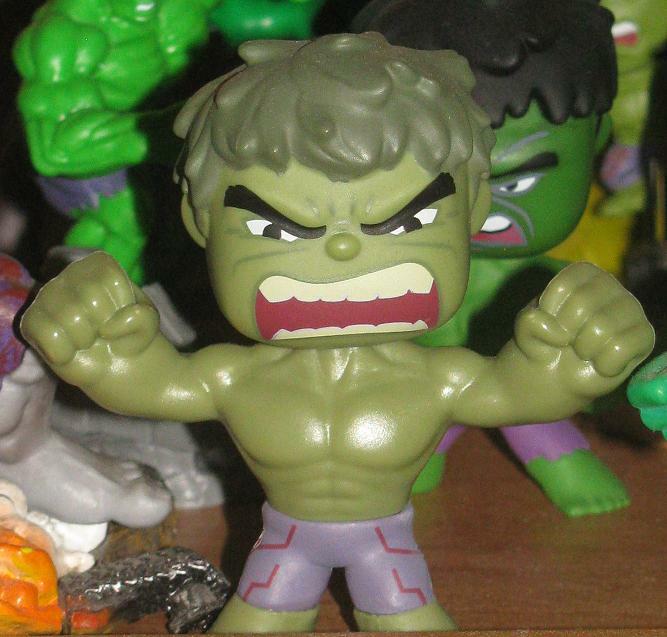 I stuck with the more Hulk related figures. 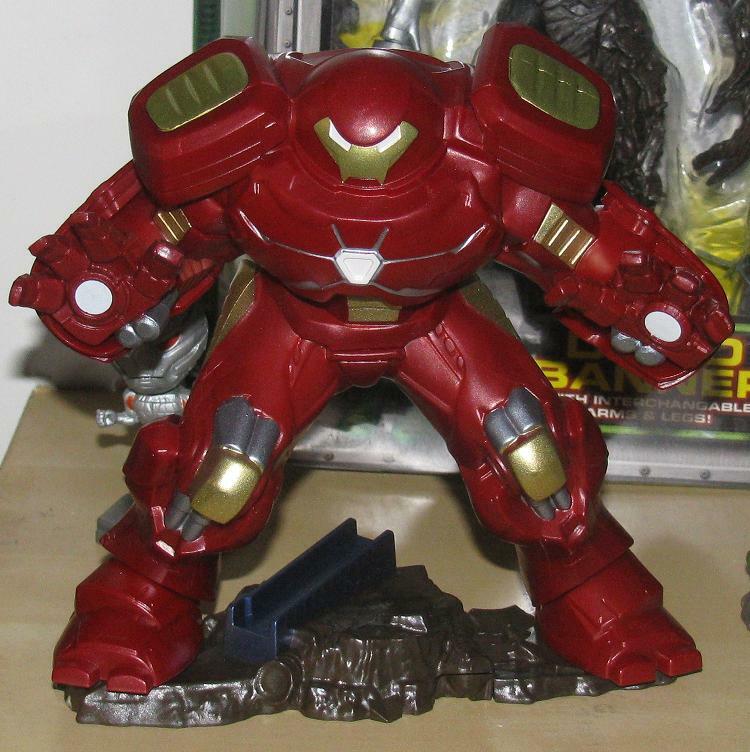 The real save is that they are pretty sizable – not ML sized – but big and bulky like a Hulk/Hulkbuster should be. There is a new game on the market – as it were, me not being the gamer, I have no idea what it does or how to play it. I figure it’s much like the Infinity games where you can place the characters you buy right into the game – but then again, I’m not sure. 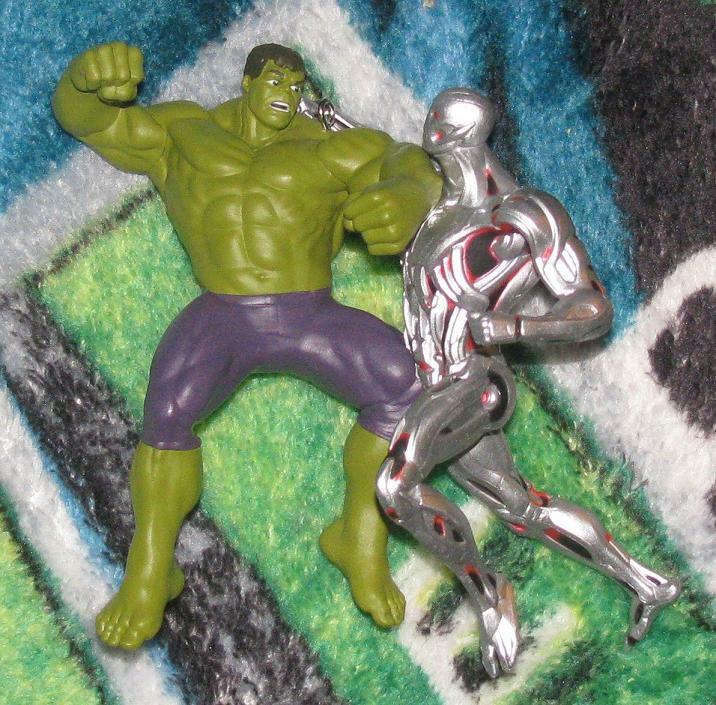 One of the kids at TRU started to explain what Playmation is but I got bored and walked away. I’m just kidding! I didn’t just walk away from someone who was talking to me! That would be so rude. I did interrupt his explanation by shouting “BLAH, BLAH, BLAH! HOLY BORING!” and then shook my head and walked away. 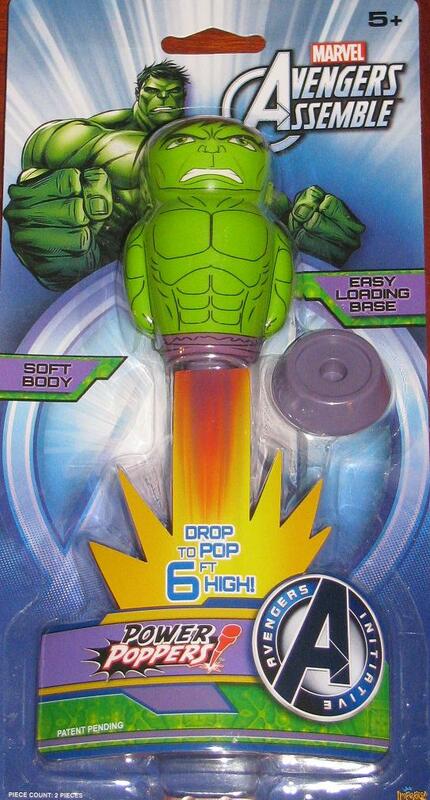 That’s right – there is yet another “blind package” Marvel set to get. These blind packages seem to be taking over the entire market – and I get the appeal to some degree – but they really aren’t for me. I usually find what I need on eBay or even at some LCS that opens the a few of these boxes or packages and happens to have a Hulk. 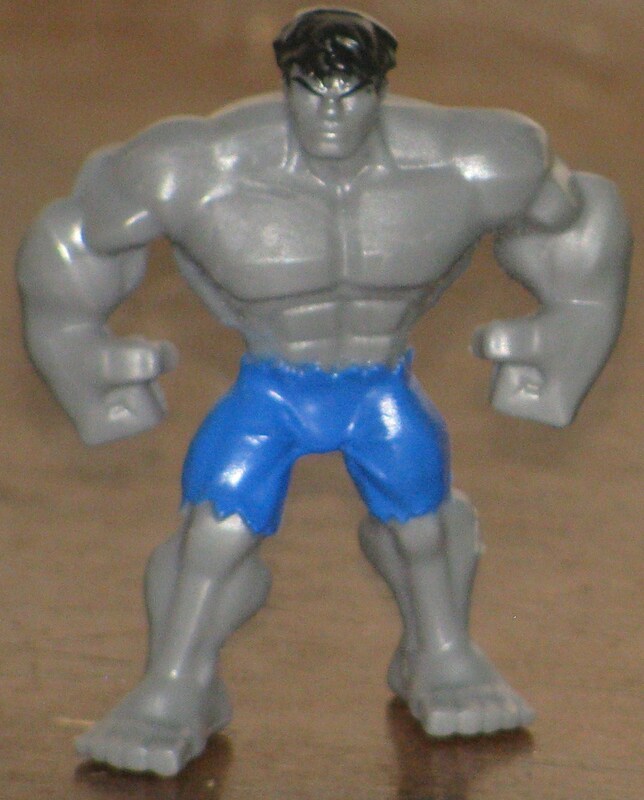 That’s how I ended up with the Grey Hulk. All the others were found on the ‘bay. I usually enjoy the “hunt” for treasures – but with blind packages there is always so much waste that it becomes more of a chore than an enjoyable game. That being said, I do like these simple little figures. They remind me of the Handful of Heroes that were released a few years ago – except they are slightly bigger and painted. 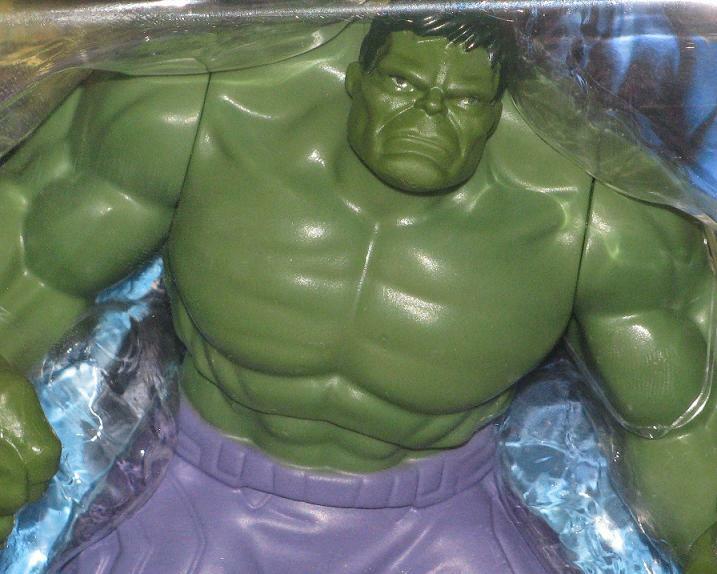 Most of the Hulks are the same mold they just yield different color schemes. 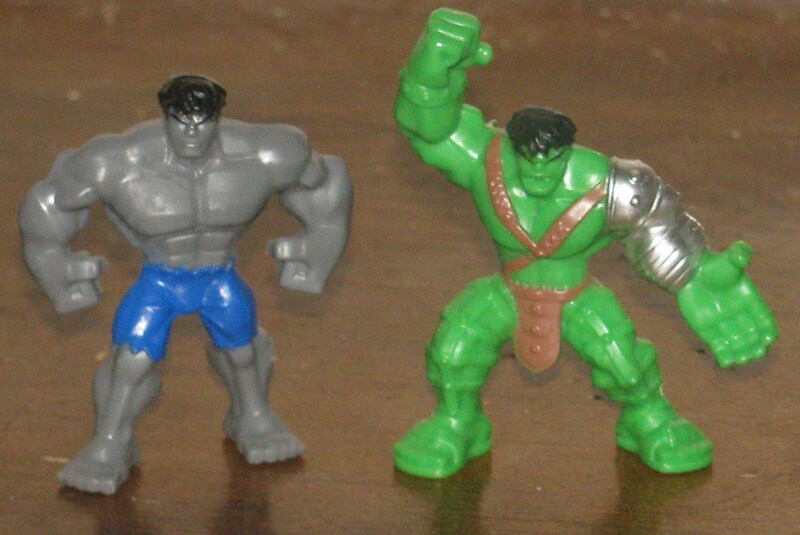 The Hulk, Grey Hulk, Red Hulk and the clear Gamma Hulk are identical in pose the only slightly different Hulk is the World War Hulk with a hand raised to attack. 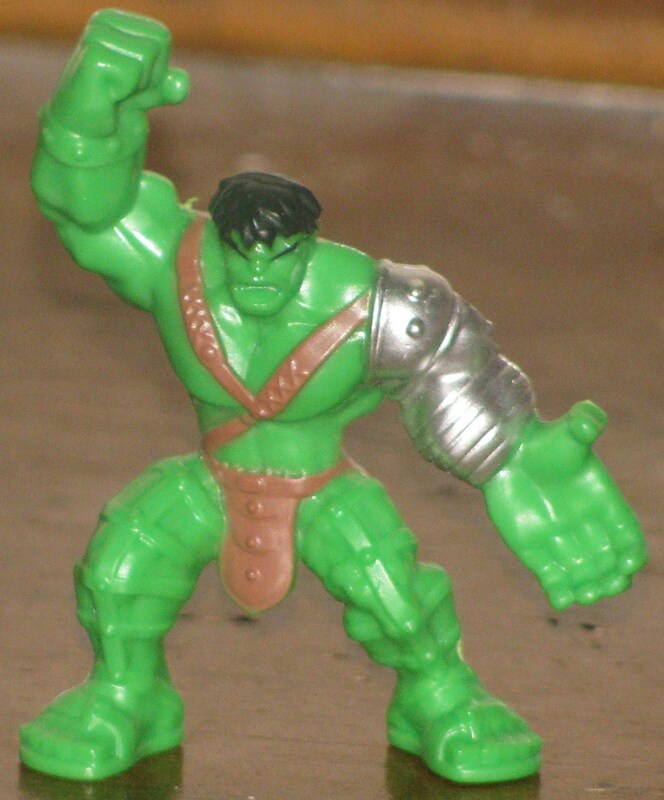 If you’re looking to pick up the Classic Hulk, Red Hulk and Gamma Hulk they are from series 1 – as the Grey Hulk and World War Hulk come from season 2. I have to say, a side effect of having a friend who collects the set of blind boxes is that they inevitably collect repeats. 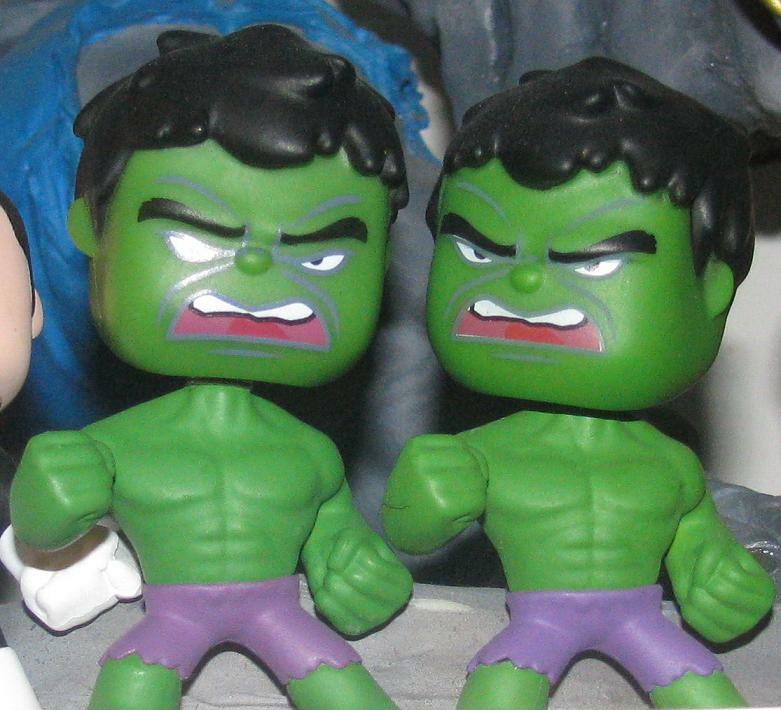 The I have at least 3 of the original Hulks and two of the AoU version. I do like the sculpts of these figures – I have a complete set of the Sci-Fi and Horror figures and I wish that Funko was allowed to create these mini-figures without the bobble head. I think they would be much better without that feature. 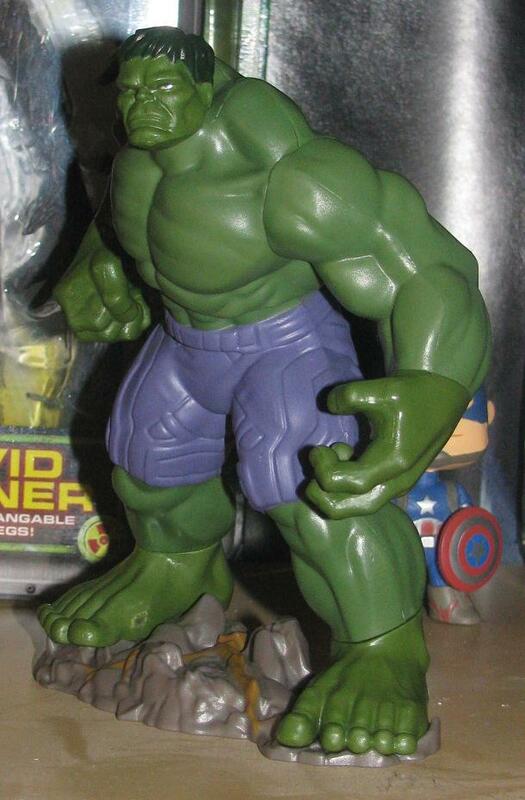 There is another Comic-Con exclusive Hulk of these but I have yet to get that one. 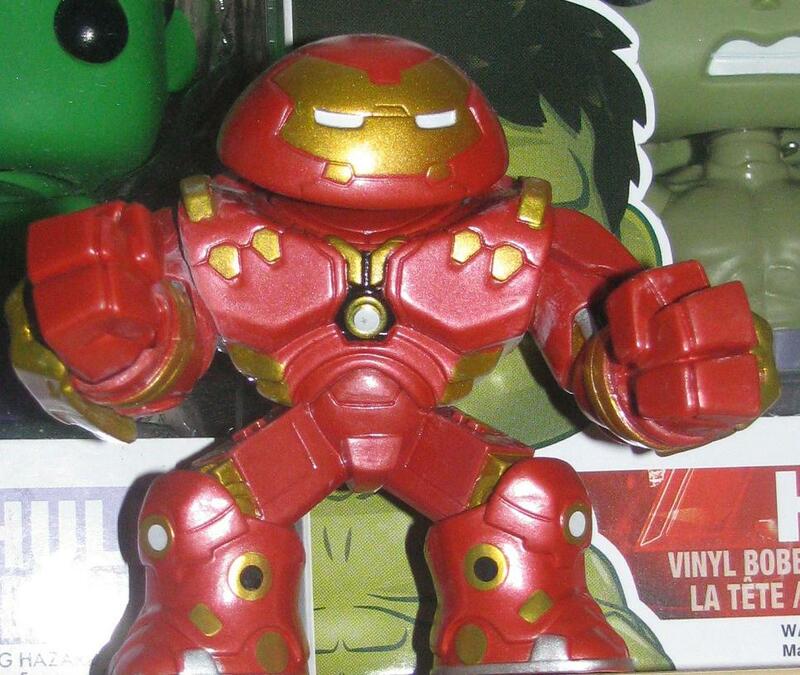 The easiest mystery figure to identify is the Iron Man Hulkbuster figure. The box weighed almost double what the others in the set did. This is one of those rockets that you stomp on the launcher and it sends the light-weight Hulk rocket soaring into the sky. I really enjoy these simple toys that take me back to my childhood – and having things that I can play with today with my own kids makes me all that more excited! The best part of this whole thing is watching my two little ones scamper to try to capture the descended projectile. 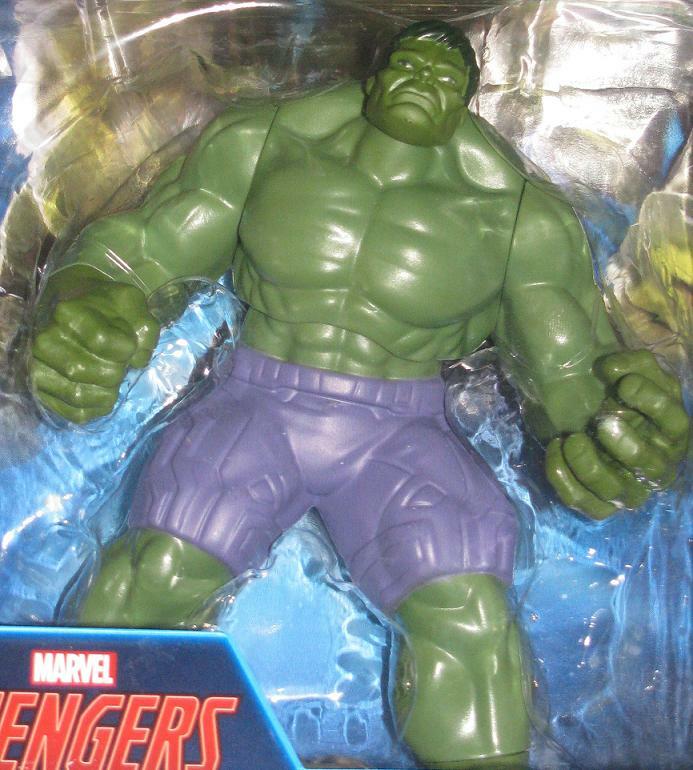 I will say, besides the Marvel Legends offerings, the toy selection from the sequel to Avengers was pretty much a let down. 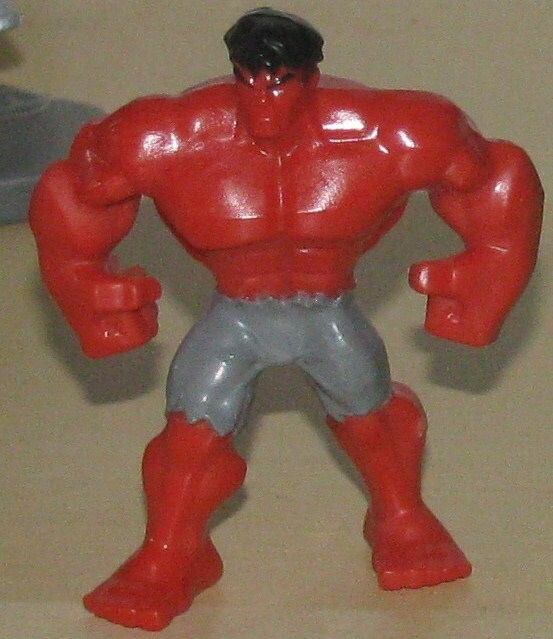 They seem to focus on the 2″ figures that were crudely painted with no real articulation – not that you could do much with them if they did provide movement. 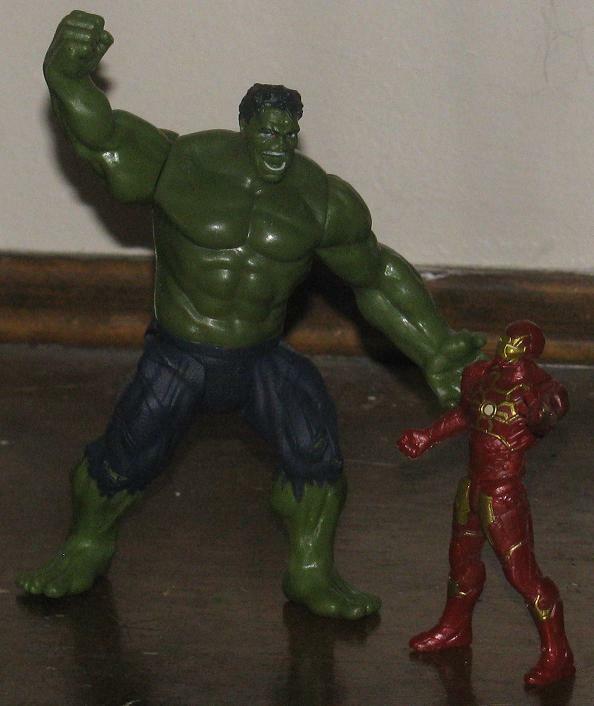 The other Hulk 2-pack (Hulk and Hulkbuster Iron Man) gave us a tiny Hulk and a inferior Hulkbuster figure. When I was alerted about this other 2-pack (thank you Gammapup!) many, many months ago I set out to find it. After a few weeks of no luck at all I devled into eBay to acquire it. Although, I was told that the invitation to pick one up is always open (thanks again, Gammapup!). It arrived safely – but it had the same effect that the previous 2-pack did. Painted sparingly and crudely, with maybe 4 or 5 points of articulation, the presentation of the figures are really not worth mentioning. 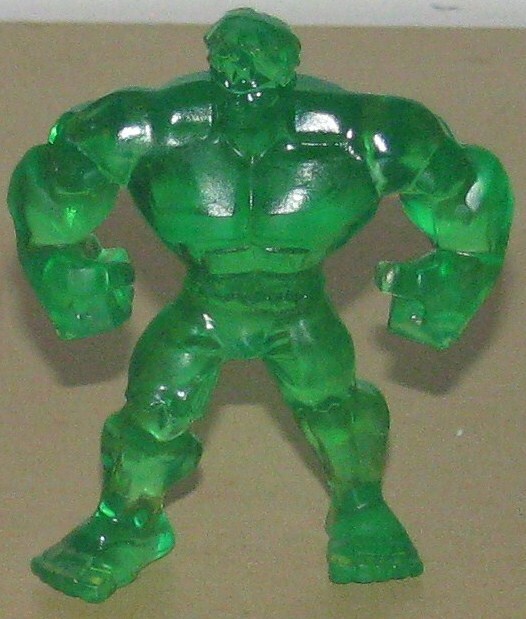 It’s a larger Hulk – about 3 & 3/4″ – so almost double what the Iron Man is, which doesn’t really add up to what AoU showcased. 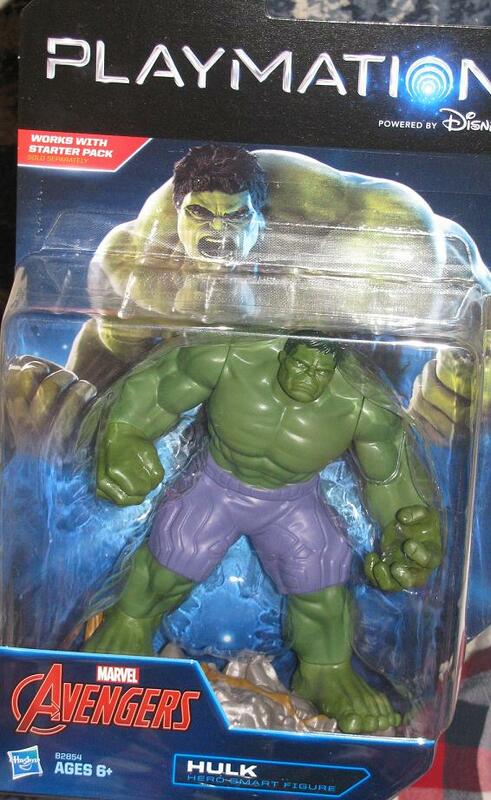 The Hulk is way too big. I would have to say, I’m not sure I can recommend picking this up. Maybe for the complete-ists out there it’s worth it – other than that – let it stay on the pegs.